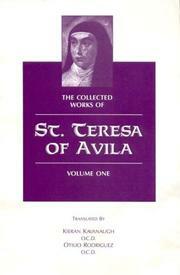 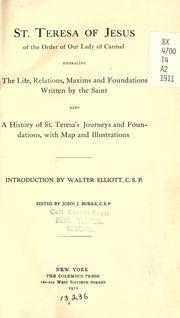 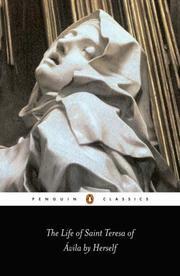 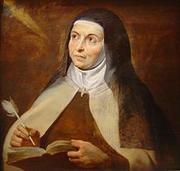 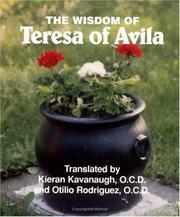 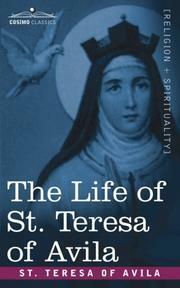 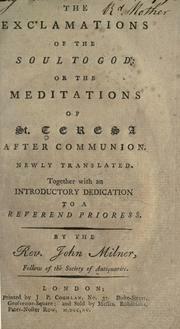 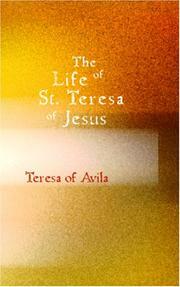 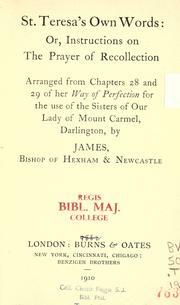 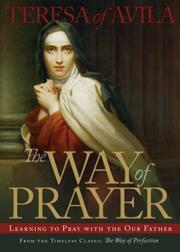 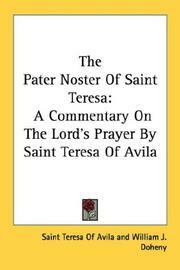 Minor works of St. Teresa: conceptions of the love of God, exclamations, maxims and poems of Saint Teresa of Jesus. 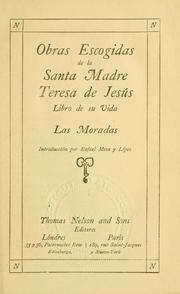 Obras escogidas de la santa madre Teresa de Jesús .. 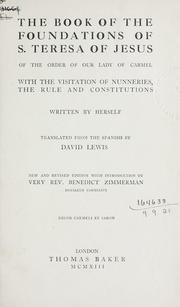 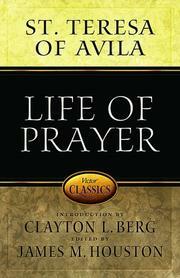 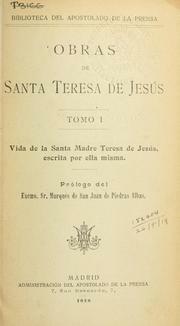 The life of the Holy Mother S. Teresa foundress of the reformation of the discalced Carmelites, according to the primitive rule: divided into two parts, the second containing her foundations. 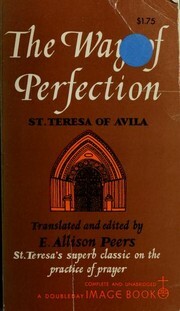 Lettre della Santa Madre Teresa di Gesu ..
Exclamations ou meditations de S. Teresa: après la communion et quelques autres petits traitez propres aux ames qui aspirent à la perfection. 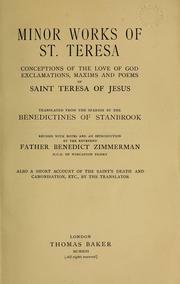 The works of the holy mother St. Teresa of Jesus: foundress of the reformation of the discalced Carmelites : divided into two parts. 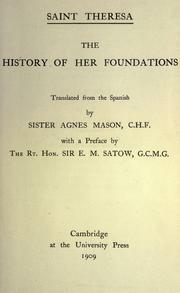 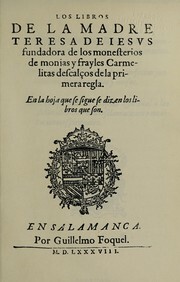 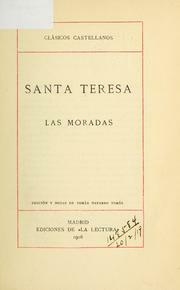 Los libros de la santa madre Teresa de Iesvs: fvndadora de los monasterios de monias y frailes Carmelitas Descalzos de la primera regla. 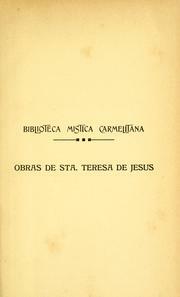 La oración: (Selección de textos). 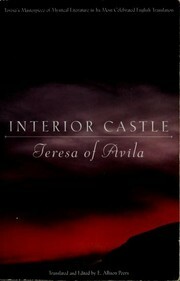 Il castello interiore: a cura del padre Egidio di Gesù. 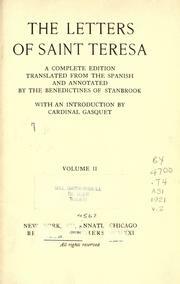 Les oeuvres de Sainte Therese ..
Opere spirituali della Santa Madre Teresa di Gesu ..
Are you sure you want to remove Teresa of Avila from your list? 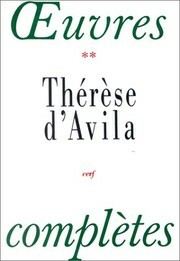 September 17, 2010 Edited by Prajña Edited without comment.